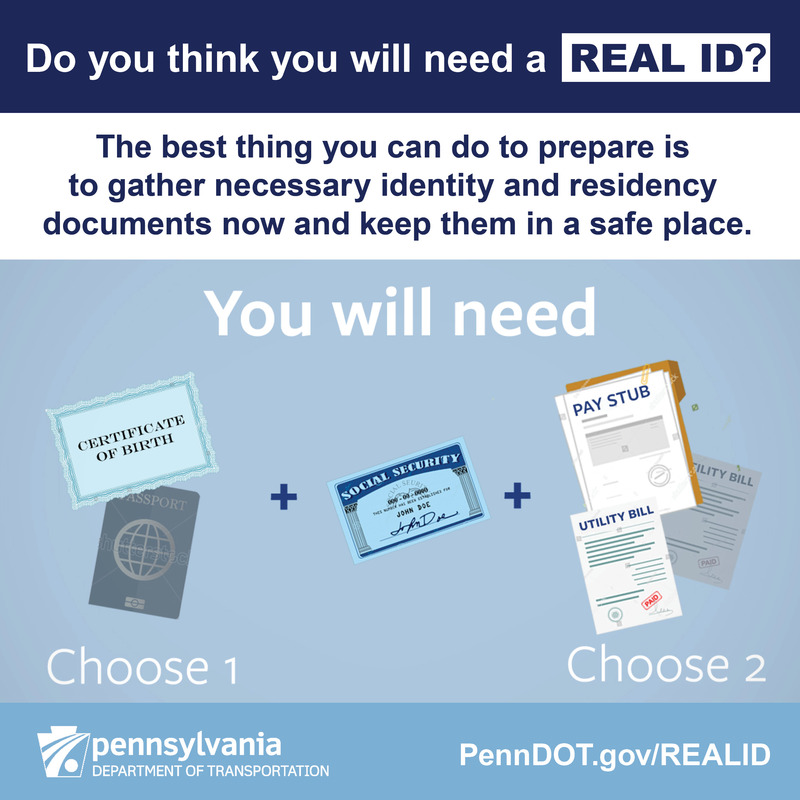 For complete information on REAL ID in Pennsylvania, including a list of frequently asked questions, visit www.penndot.gov/REALID. 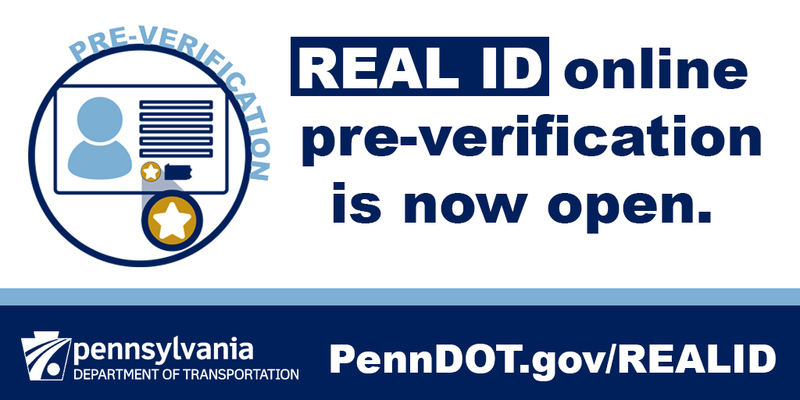 PennDOT also has sample social media posts (DOC), a brochure about REAL ID (PDF) (Spanish version), as well as a printable document checklist (PDF). Click on an image to view it larger. To download, right click on the image and select "Save link/target as." 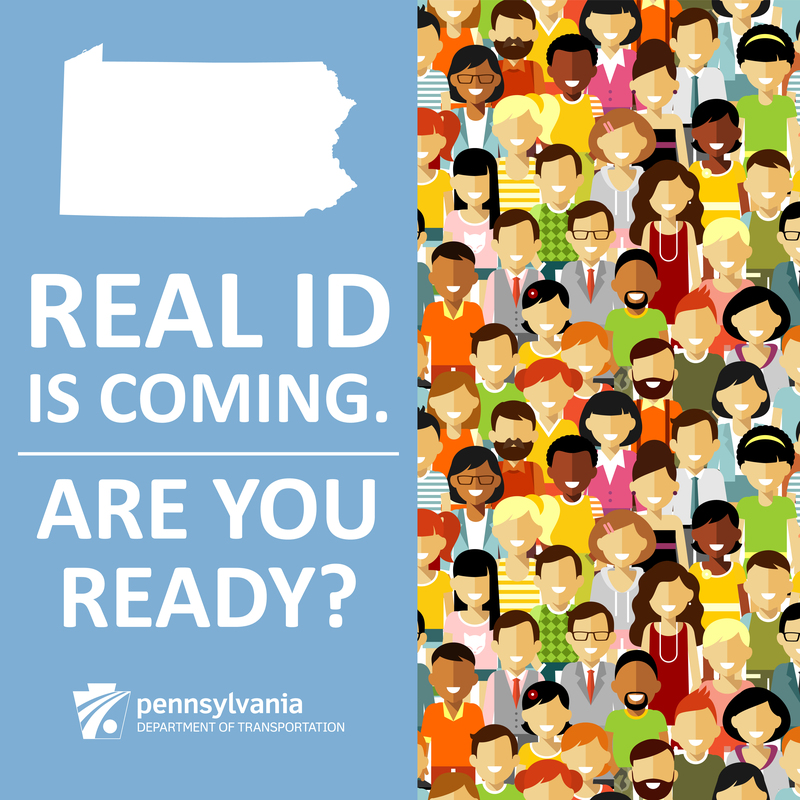 REAL ID is coming; are you ready? ​​DISCLAIMER: The images that appear on this webpage constitute the intellectual property (IP) of the Commonwealth of Pennsylvania Department of Transportation (Commonwealth) and are provided for public educational purposes. The Commonwealth grants Users the nonexclusive right to reproduce the Commonwealth IP without requesting permission as long as the IP is not altered in any way and User attributes the Commonwealth as the source. 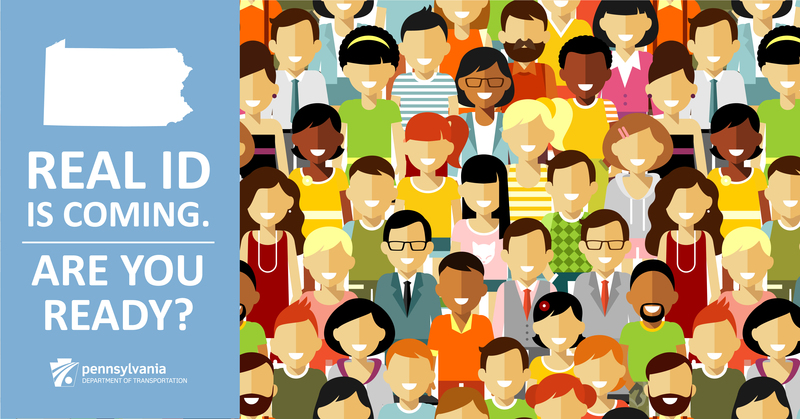 User shall also include a disclaimer indicating that use of the IP is not intended to serve as an indication of any affiliation between the Commonwealth and User or an endorsement of User's products and services by the Commonwealth. All goodwill associated with the IP remains with the Commonwealth.